Dainius Zubrus has played plenty of hockey in his NHL career, over 1,000 regular season games, to be more specific. The savvy veteran can look back with pride, but he prefers to look forward instead. He is the first Lithuanian to reach the four-digit mark in NHL games played, an accomplishment not lost on the former 15th overall selection in the 1996 Entry Draft. But for the native of Elektrenai, a city of roughly 14,000 people, and also the hometown of former NHLPA member Darius Kasparaitis, his desire to keep playing is his driving force. Now, in his 15th year, Zubrus, who plays centre and right wing, is looking to make an impact as a member of the New Jersey Devils. He's played for the Eastern Conference squad since 2007-08, signing a six-year, $20.4 million contract, as a free agent, in July of 2007. Zubrus, who has appeared in 17 playoff games in New Jersey, is hoping the Devils can make a spirited Stanley Cup run, after missing out on the post-season in 2010-11. He recalls two previous memorable playoff experiences, 1996-97 with the Flyers and 2006-07, with the Buffalo Sabres. The 1996–97 season didn't suggest good things were in store for Zubrus and the Flyers. Despite finishing just one point shy of a third straight Atlantic Division title, Philadelphia were unstoppable through the first three rounds of the playoffs, overpowering Pittsburgh, Buffalo and the Rangers, all in five games, to claim the Eastern Conference crown and a date in the Stanley Cup Finals for the first time since 1986–87. Zubrus also took a lot away from Buffalo's strong showing five years ago. The Sabres reached the 50-win plateau for the second time in franchise history, hoisting the Presidents' Trophy for the first time, ensuring home ice advantage for their entire run in the 2007 Cup playoffs. Buffalo eliminated the New York Islanders and the New York Rangers to reach the Eastern Conference Finals, but were ousted in five games by the Ottawa Senators. 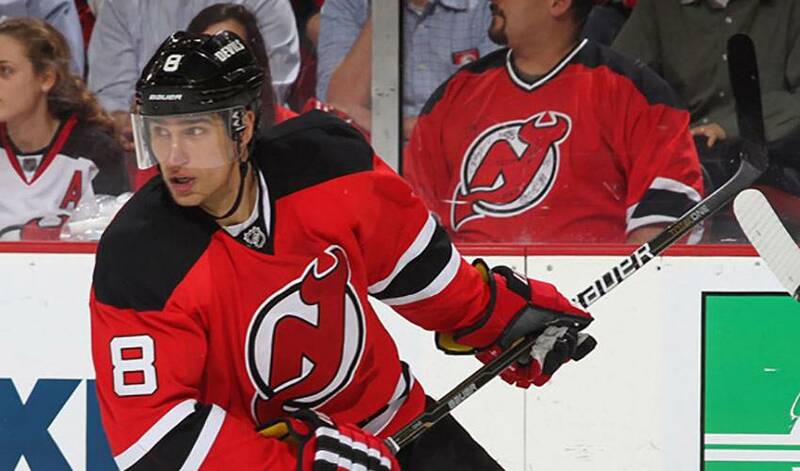 The player with 68 games of NHL playoff experience is hoping to get another shot in 2011-12. As for how long he'll play, Zubrus has never forgotten the words of a former Flyers teammate. He's also focused on what the future holds.